In the spirit of full disclosure and transparency, Roche paid for my travel, lodging, and food for this trip. Roche did not ask anyone to blog about the summit, nor did they pitch any products to us. I stayed an extra 4 nights/5 days to attend CWD FFL. I paid for my own lodging and food (including diet sodapop, at $3/bottle) for those extra days. I also paid for my CWD registration fee, as well as transportation back to the airport on Sunday. Roche presented slides that covered what they learned from us last year, and what they’ve done with it. 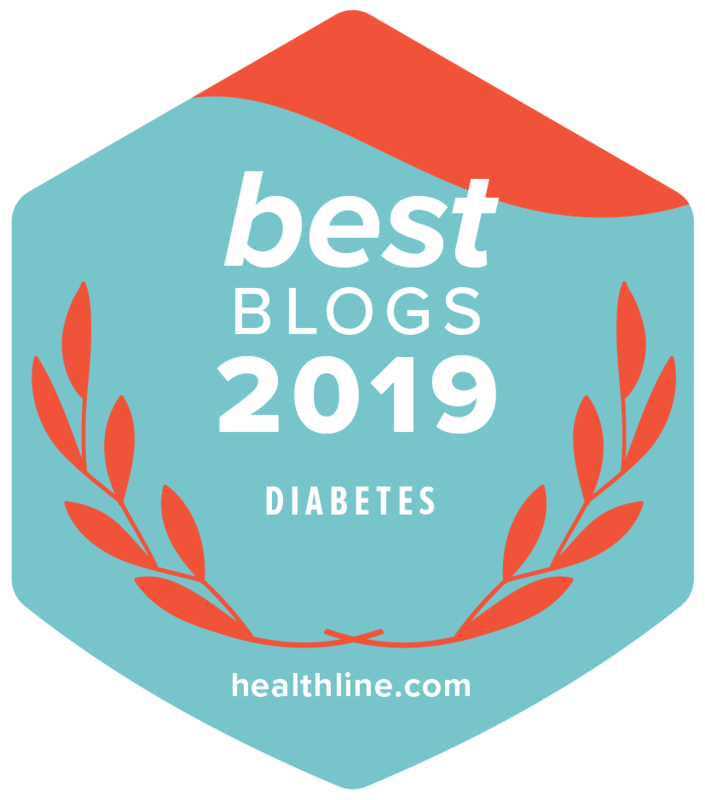 While many of these things are not highly visible to me as a blogger, it shows that they are invested in working with us, that they value our feedback, and that these summits are helping people with diabetes across the board in some way. Keep it real – they are now using people with diabetes in their advertisements and commercials. With real numbers (not always 104 mg/dl)! Address the costs of diabetes – They have a prescription discount card, lowering the co-pay for some test strips. They are also continuing to work their Patient Assistance Program by partnering with Direct Relief USA to get some testing supplies to those without insurance. Actively advocate for the patient community – Roche is working with the National Minority Quality Forum (NMQF) to found the Diabetes Care Project, which they describe as “a coalition of like-minded organizations focused on improving care for people with diabetes”. They are also advocating the adoption of additional industry standards in many areas of glucose monitoring. Help the community amplify its voice – They brought in representatives from the ADA and the AADE to listen to what we have to say. I admit that I don’t know much about many of the above efforts, but assuming Roche was not just blowing smoke, it shows that they looked at our feedback and found some ways to make progress. I try to keep in mind that a large company like Roche doesn’t have the ability to be very nimble and quick on its feet. Everything takes a long time to manifest from idea/concept to reality. Many of the above mentioned programs and tools existed already – so some would say that Roche is using them to convince us that they did something (blow smoke). Maybe so. But I would argue that our voice may have confirmed they were already on the right track, or allowed them to channel resources towards things we said were important to us. Meter accuracy is a pretty hot issue right now. We did an exercise which I believe had two purposes: to educate us on difficult decisions that consumers believe are easy, and to gather some feedback from us about where accuracy was most important (low, high, or even split). We all want 100% accuracy 100% of the time, and we all said so. But I don’t think the average consumer understands the technical and scientific challenges. I don’t understand the complexity of it. It’s not all about keeping cost down, although that surely plays a considerable role – it’s really hard! In the meantime, we are told that meter companies have a range of accuracy (15-20%, above 75 mg/dl) that they can reliably accomplish 95% of the time. They can “move” the range lower or higher, but can’t (or won’t?) tighten the range. So they have to decide where we want the most accuracy, low blood sugars or high blood sugars. I have to ask if this issue, meter accuracy, is really the “right fight”? There is a lot to say around this. In fact, I’m going to stop myself here and revisit the topic in another blog post. Let’s just leave it at “I’m not sure” for now. Fair? The loudest message of this session was nothing spoken. The intentions of the ADA were loud and clear; by sending some serious weight they showed that their reputation in social media is very important to them. On the panel we had David Kendall, MD, Chief Scientific & Medical Officer and Lois Witkop, Senior Vice President Marketing Communications, as well as Dwight Holing, a volunteer PWD (type 1) serving on the 2010 board of directors (I really connected with Dwight), Amy Johnson, the 2010 National Youth Advocate, our own Dayle Kern (her personal twitter page), and Christine Feheley, both from the Communications team. They listened to our feedback, and also shared some insights that many didn’t know. It seemed that our message was heard, and our desire to work together was well received. As many have already said, time will tell, and we’ll see what happens. There was some gap in communication or misunderstanding somewhere, because they sent the wrong people. It was a waste of time, both sides sort of “butting heads”. We didn’t need to hear a PR pitch about what this organization offers its members. We wanted to talk about the life-threatening shortage of CDE’s which is only getting worse. I don’t think we got anything from them, nor them from us. It was frustrating. for-profit company. But getting a peek behind the “corporate curtain”, I can see that there are some really incredible people working for Roche, all of them trying to improve the lives of people with diabetes. The bottom line for me? I got to see my friends. I got to see people I love very much, but don’t see often enough in real life. I got to know some incredible people at Roche, who I spent a lot of time with, both in the meetings and during the week at CWD, and I got to peek behind the curtain. Time will tell whether this stuff continues to be valuable for everyone involved. I sure hope so, because I learn a lot every time. Things are not as simple as we consumers think they are (or should be), and it helps me align my perspective on life with diabetes when I get a slightly broader view of the big picture. So well said, Scott! And I was so glad to see you — and the whole gang — in the flesh again. That in itself was a gift. Dean, their Medical Director in Diabetes Care is a 40 year type 1. I visited with him a lot over the week I was there, and he is great. Take that for whatever it’s worth. Thanks for the write-up. Amy T had something a bit deeper on the meter accuracy issue, but it’s nice to see your summary. It’s also nice to see that there appears to be some commitment to Roche for carrying this forward since they reported back on “progress” from last year’s summit. From my cynical side comes a few observations. The summit is great, inexpensive marketing. Roche gets to be seen as a company that is making an effort to reach out to the DOC. That it promotes and cements friendships can’t hurt their image among the DOC. Your stack of questions in “Conclusions” is great. Let’s be real here. Roche is a for-profit company and if they don’t make money then some/all of the really great people they have working for them will be unemployed. You might conclude that these really great people are trying to create great products to help diabetics that in turn makes Roche a profit, but I’m not entirely sure that is exactly logical. Some economist-minded diabetic might point out that if one of Roche’s great people came up with a more accurate way to test BG, that could cost millions to develop and have a negative ROI, we would be unlikely to see that product, right (would they still be ‘great people)? My more optimistic side says: Awesome summit! Great that you got a chance to “look behind the curtain” a bit. Is Roche, the ADA and/or the AADE planning on more of these summits? Could they (since it IS an OC after all), send out email updates on issues that were raised? Oh, and I have been a great person working to provide customers with great products/services that help people realize their goals (while trying to earn my company a PROFIT, which is NOT a bad word). there is also this.is there a diabetic on the roche team?i would guess that some where in the company there is one.i find that kind of curious. all the medical plan help they offer really is no different than anyone else s.joes drug and bait shop offers help to folks.every body does that. and this bothers me considerably.in fact a lot.when they made this change to the box to show a real number and put real “d s” playing “d s ” couldnt they have sent a shout out to one of you?just a little reach out to say “hey you might be interested in this” instead of a announcement at the summit..it can be difficult to keep a distance from them but really are they interested all year or just a month before hand. where is the flow of info the rest of the year?it just looks like they are controlling in a way. while having none of their own. i dont fault them for trying i give them that but 1 more year of this and no one will be reading about it. Thanks, Scott, for one of the more insightful and detailed posts about this summit. I too agree with deanusa, as I have on another post about this summit elsewhere that he also commented on. It really seems like the biggest thing this summit does is bring bloggers together, which is great for the people that go, but yeah, what is the bigger reasoning behind it? Why spend so much money to bring a group of people together who are ultimately virally marketing the name of the company just by the fact that bloggers write their experiences, even though everyone writes that the company never asked anyone to blog about them at all? Of course bloggers will blog and therefore, the company gets free advertising. In a way, the company is, knowingly or not, getting bloggers to spread the company’s name so that it has become better known among the blogging world. Is the company counting on this (inadvertent?) brand-building tactic? I come from a journalism background, and I’m surprised more people haven’t questioned the ethics of a free trip to a pharma company. I appreciate that everyone has disclosures and such, but it’s not like anyone can be truly objective writing about a company that has bankrolled a trip that’s ultimately fun and social. Why would anyone be truly critical of a company that has allowed them to connect in a way that would be financially and logistically impossible otherwise? Those are great thoughts Dean – and I appreciate you sharing them. I’d love for everyone to keep talking about this. These are important questions. I’ve asked myself many of the same questions. Are they just doing this for a little PR? As expensive as the summits are, might they still be cheaper than some advertising campaigns? Are they trying to buy their way into “social media”? Truth is Dean, I don’t understand what exactly they get either. I don’t understand what justifies all of the expenses involved for them. But I do see a lot of value, for me, in getting a peek behind the corporate curtain. I see that there are some really great people working there, and they seem to be really interested in improving the tools and the ways we use them – along with increasing their business (let’s not forget they are here to make money). I also try to keep in mind that huge companies like Roche simply can’t do things fast. Everything takes a long time. They are too big to move quickly. A lot of unanswered questions, but it’s a good thing to be engaged with them – I think. Time will tell. lets see if i can.im going off a lot of what i can remember.and some stuff from last year. once a year roche is prominent in the d world..courtesy of the bloggers.we hear things that could lead to other things. heres whats worrisome.this could be accomplished by a survey.they seem to think that the front runners of d speak for us all. (dont take that wrong because you know i think you all are the best and you do have the same interest we all have.thats why you all are popular.). but we would still have to use them.other companies give away free insulin(i had to use them) but they arent holding summits.i need insulin much more than i need strips.in checking their on line sites the words are impressive. Tell me more Dean. What do people think this is? i do have a issue with the rest of it. lol personaly i could care less if they use a real d person in a comercial or not.just like i could care less if the person in the pledge commerical uses it or not.what matters is the product itself. as far as meter accurcey goes if it was so awful many of us would be really messesed up.i have no intrest in that fight. i just dont know.i may have belived the roche was something more than it really is. Long time indeed, as far as making changes. Having worked for a medical device manufacturer and knowing how even marketing strategies evolve, I’m impressed with what they presented as changes from last year. I’m not sure meter accuracy is the right fight either. Are we expecting too much from a small, rather technically simple device (when compared to insulin pumps and CGMS)? And with the number of people who use meters, is it realistic to expect that it will work 100% of the time (or even 95%) for 100% (or even 95%) of the people? I’d rather see pump companies come up with fail safe measures for user errors, quite honestly. I see that as a bigger techie issue.